Whether you need a dent or a ding removed, Exeldent has the experience and expertise to deliver a high quality service every time. 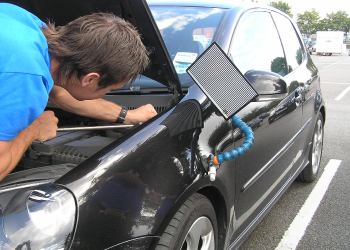 We were the very first company in Wales to do mobile car dent removal. Dent removal takes on average 30 minutes and prices are very competitive. Customers include : Bentley, Ferrari, Porsche, Audi, BMW, Mercedes, Ford, Vauxhall, Peugeot, VW, etc. Description and location of dents.